*A new edition of the brilliant bestseller for release alongside the star-studded movie* A dazzling urban satire of modern human relations? An ironic, tragic insight into the demise of the nuclear family? Or the confused ramblings of a pissed thirty-something? 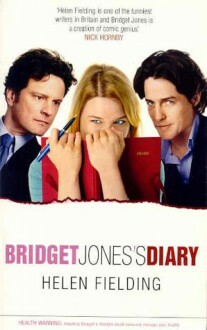 Bridget Jones is everyone's favourite Londoner. This is your chance to reacquaint yourself with the funniest, most heart-warming young lady ever to grace the pages of a Picador book.